Los Angeles ranks No. 1 in the nation for its use of solar energy, according to a new report by the Environment America Research & Policy Center and its state affiliates. The city moved up from last year’s No. 2 spot, overtaking San Diego. Honolulu stayed in the top spot for solar energy use per capita. In a statement, Mayor Kirk Caldwell said it will play a “huge role” in helping the city’s public and private transportation use only renewable energy by 2045. “This technology is rapidly improving and becoming even more widespread,” he said. 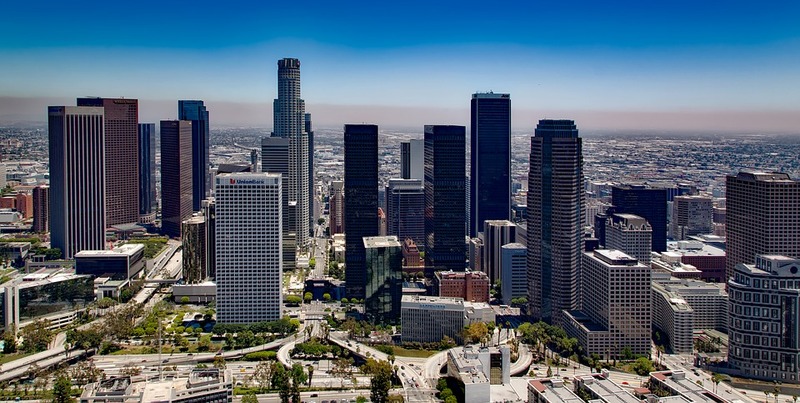 In the announcement of Los Angeles’ top spot, officials note cities such as Indianapolis, Newark, NJ, and Boston ranked highly for adopting and using solar energy, even though they are “not known for sunshine.” That follows a letter signed by a bipartisan group of 180 mayors from across the country calling for increased solar energy usage, a call that appears to be sinking in outside of traditional solar energy powerhouses like California and Hawaii. Environment America noted the top 20 cities for solar energy, which comprise just 0.1% of total land mass in the United States, account for 4% of the country’s solar usage. That is in line with wider trends in research around lowering carbon emissions, which indicates that cities have led the way as they increase staffing and add new programs. “We are in a moment when progress on renewable energy will come from cities across the country,” Bret Fanshaw, Solar Program Director with Environment America and the report’s co-author, said in a statement. For cities that wish to take advantage of solar energy, researchers urged them to use what Abigail Bradford, a Frontier Group policy associate and report co-author, described as “effective public policies.” And that is already underway even in smaller cities like Spokane, WA, which has waived the building and construction permit fees for solar panels to try and encourage more residents to add them. “More local leaders should step up and start plugging their communities into the clean and virtually limitless power of the sun,” Fanshaw said. Cities such as Philadelphia and San Diego have set ambitious targets for reducing carbon emissions — in fact, Philadelphia Mayor Jim Kenney said in a statement accompanying the report the city is working toward a “100% clean energy future.” Research by utility company NRG Energy found that cities can achieve sustainable energy solutions regardless of size, while the benefits include creating more jobs and keeping utility costs down for residents.